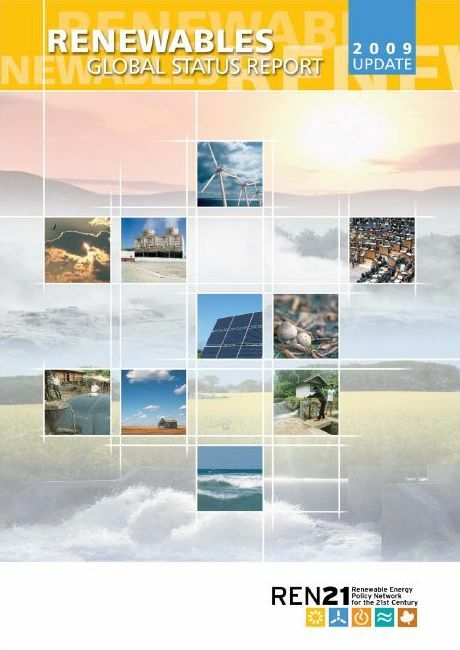 The Vienna, Austria-based Renewable Energy Policy Network for the 21st Century (REN21) has just released its latest review of the global state of adoption of renewable energy sources — solar (both photovoltaics and passive systems, such as solar water heaters), wind, geothermal, wave, biofuels and small hydro (REN21 excludes large hydropower projects from its review). The overall conclusion: that investment in renewable sources continues growing worldwide despite the global economic downturn. 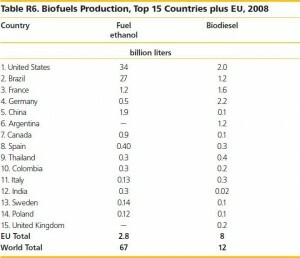 biofuels, where Argentina, Brazil and Colombia are among the top 15 producers (see table below). 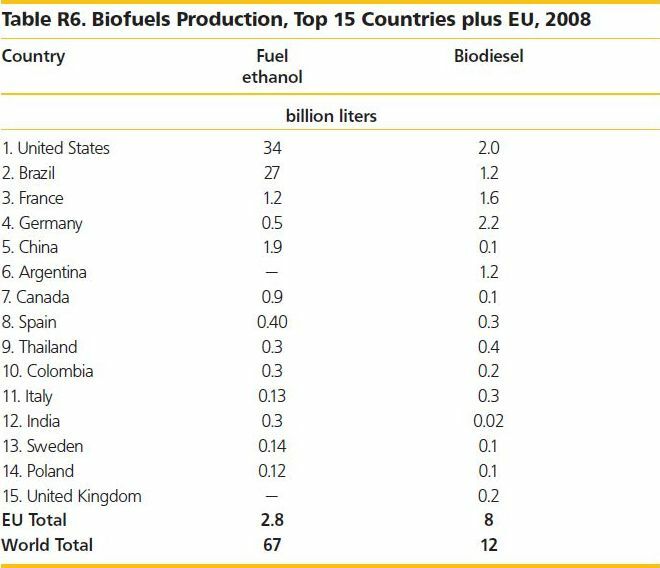 In addition to ethanol and biodiesel production, the report notes new power plants fueled by bagasse being brought online in Argentina, Brazil, Colombia, Mexico, Nicaragua and Uruguay. 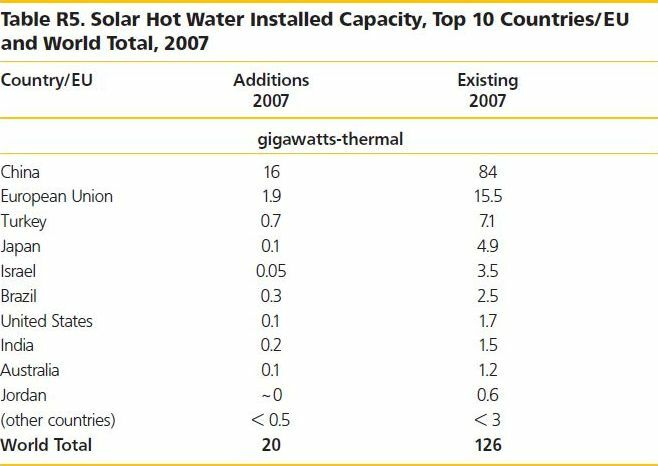 solar water heating, where Brazil is among the top 10 (if one considers the EU-27 as a single block) in terms of installed capacity (see table below) and fourth in terms of capacity added in 2008, and which is very aggressively adding further capacity this year. The report also noted accelerated investment in solar water heating capacity in Mexico. geothermal, where at end-2008 Mexico was fourth in terms of installed capacity. The report also notes significant recent growth in installed capacity in El Salvador, Guatemala and Nicaragua. 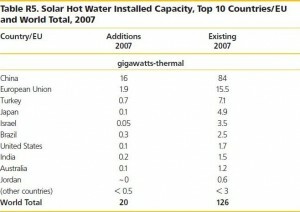 small hydro, where at end-2008 Brazil was fifth in terms of installed capacity (with more expansion coming every day). The report also notes new law or policy support for renewables in Brazil, Chile and Mexico, and the adoption by Jamaica of an overall renewables share target (15% by 2020) and a biofuels blending mandate (E10). 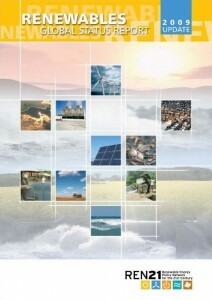 The REN21 Renewables Global Status Report released today shows that the fundamental transition of the world’s energy markets continues (www.ren21.net). Global power capacity from new renewable energy sources (excluding large hydro) reached 280,000 megawatts (MW) in 2008 – a 16 percent rise from the 240,000 MW in 2007 and nearly three times the capacity of the United States nuclear sector. Solar heating capacity increased by 15 percent to 145 gigawatts-thermal (GWth), while biodiesel and ethanol production both increased by 34 percent. More renewable energy than conventional power capacity was added in both the European Union and United States for the first time ever. “The recent growth of the sector has surpassed all predictions, even those made by the industry itself,” says El-Ashry, adding that much of this growth was due to more favourable policies amidst increasing concerns about climate change and energy security. During 2008, a number of governments enacted new policies, and many countries set ambitious targets. Today, at least 73 countries have renewable energy policy targets, up from 66 at the end of 2007. In response to the financial crisis, several governments have directed economic stimulus funding towards the new green jobs the renewable energy sector can provide, including the U.S. package that will invest $150 billion over ten years in renewable energy. Developing countries – particularly China and India – are increasingly playing major roles in both the manufacture and installation of renewable energy. For example, China’s total wind power capacity doubled in 2008 for the fourth year running. For several previous years, the modern renewable energy industry has been viewed as a “guaranteed-growth” sector, and even “crisis-proof” due to the global trends underlying its formidable growth throughout the past decade. In 2008, renewable energy resisted the credit crunch more successfully than many other sectors for much of the year and new investment reached $120 billion, up 16 percent over 2007. However, by the end of the year, the impact of the crisis was beginning to show. El-Ashry stresses that “now is not the time to relax policies that support a global, expanding renewable energy sector. By maintaining – and expanding – these policies, governments, industry and society will reap substantial economic and environmental rewards when the economic rebound requires energy markets to meet rapidly increasing demand”. Climate change and energy security, two of the main drivers of the renewable energy sector, are still at work. As the REN21 report shows, the renewable energy sector offers an essential path for growth that can stimulate economic recovery and job creation without the burden of increasing carbon emissions.